Last week we covered Barolo from southern Piedmont, in particular a Barolo from Monforte d'Alba from the Langhe area. Today I'm going to share a wine from northern Piedmont, also known as the Alto Piemonte. This area has been producing wines for years, but has been overlooked by the wine coming out of southern Piedmont. In northern Piedmont there are a variety of influences including the Alpine climate along with the glacial soil, known as morainic soil, that is full of minerals from the glacial lakes that were formed. The nebbiolo wines of the Alto Piemonte differ from nebbiolo of the Langhe and southern Piedmont. They typically will have higher acidity, lower alcohol levels and more minerality due to the morainic soils, which create wines that are leaner. The area of Gattinara received it's DOCG designation in 1990. This area consists of steep slopes and shares similarities with the other nearby DOCG designation of Ghemme. There are some slight differences in the percentages of varietals, alcohol levels and aging. These are some of the best known appellations of northern Piedmont. Mauro Franchino has been producing wine in Gattinara in the Vercelli province since 1962 with about 7 acres of land. 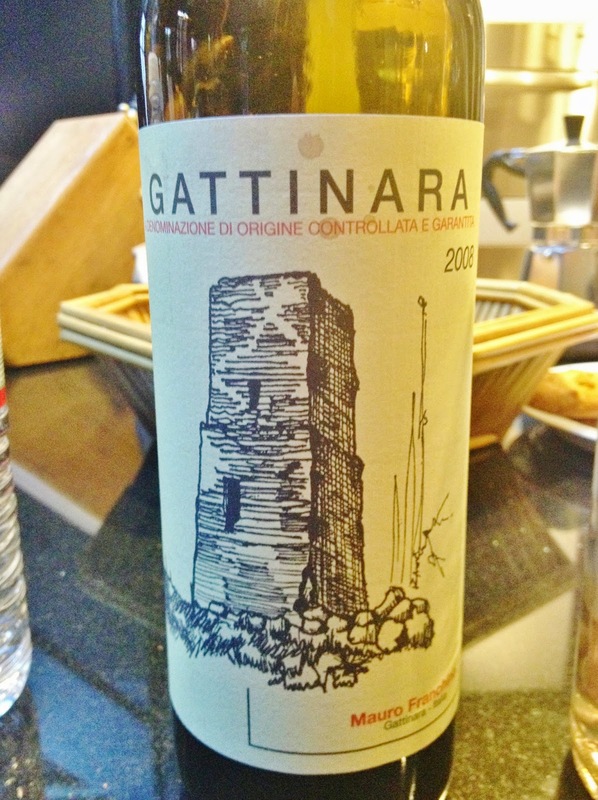 The 2008 Mauro Franchino Gattinara DOCG was garnet red with slight brick color. It had a very complex and intense nose. The wine had notes of earth, maraschino cherry, violet, roses, and some nutmeg spice. On the palate it was dry, full bodied with firm tannins. The wine was fermented partly in concrete for a couple weeks and then aged for 4 years in oak casks with an additional 6 months in the bottle. By law the Gattinara DOCG requires that these wines age for at least 36 months with at least 12 of those years in oak barrels. Which nebbiolo wines do you prefer, northern or southern Piedmont or perhaps another region like the one we are covering next week, Lombardy?